Epidural anaesthetic. 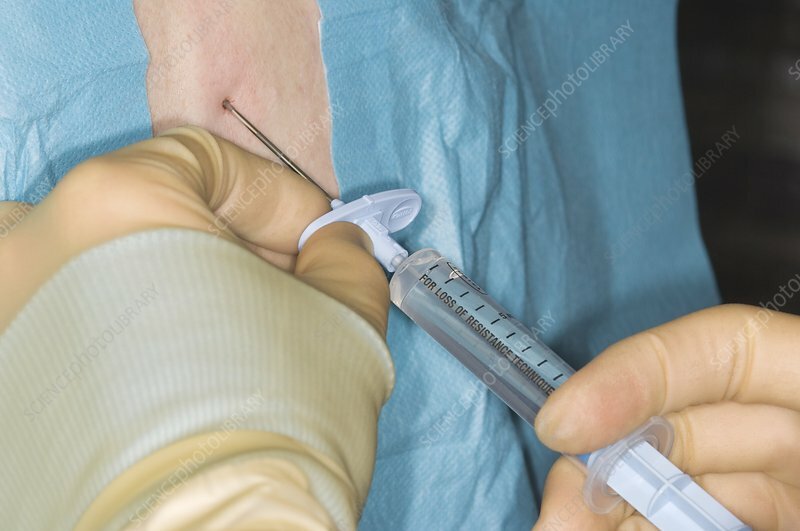 Anaesthetist inserting a guide needle into a patient's back. This will be used to insert the catheter (blue) into the epidural space (the space around the membranes that surround the spinal cord), through which anaesthetic will be administered. The area around the needle has been numbed with local anaesthetic. The epidural anaesthetic will cause a loss of sensation and loss of pain in the lower half of the body. The patient is being anaesthetised prior to surgery.